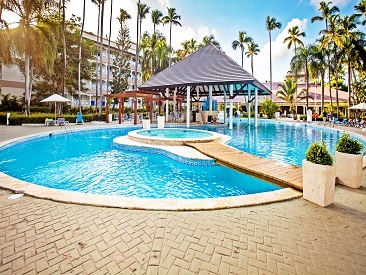 The Vista Sol Punta Cana Beach Resort & Spa hotel is an all-inclusive, family-friendly resort, located on the beautiful Bavaro Beach in Dominican Republic. White-sand beaches meet a clear-blue sea and lush tropical vegetation, creating an enchanting setting for Vista Sol Punta Cana. The all-inclusive amenities boast three swimming pools, seven bars, five restaurants, a disco, a theater and more, giving guests an array of choices to make their vacation exciting and full of activity. Hotel Vista Sol Punta Cana Beach Resort & Spa is located on Bavaro Beach in Punta Cana, one of the most sought-after Caribbean destinations. An All-Inclusive resort with mature tropical gardens and a spacious private beach, it is perfectly suited for couples of all ages, honeymoons, weddings, romantic getaways, young families or just to get away from it all and relax in a splendid tropical environment. 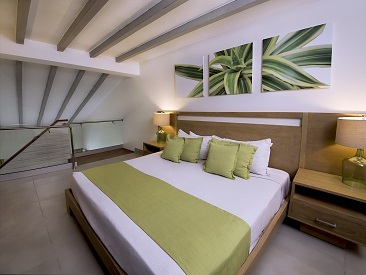 Hotel Vista Sol Punta Cana is only a 20 minute drive from the Punta Cana International Airport and 2 hours from Santo Domingo. 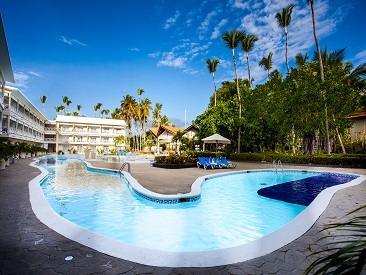 Surrounded by pristine beaches, a clear blue sea and lush tropical vegetation, The Vista Sol offers 3 swimming pools, 7 bars, 1 buffet restaurant and 4 à la carte restaurants, a disco and a theater. For those wishing to keep fit Hotel Vista Sol Punta Cana offers a gym, 2 tennis courts, 1 paddle court, beach volley, table tennis, aqua gym and much more. The hotel is also ideally located for long walks along the beautiful beach, while having a number of golf courses nearby. When you book and travel now through 2019, Vista Sol is offering the following perks for families traveling with kids and for wedding and honeymoon trips! Please Note: The resort will be undergoing renovations in some areas from August 2019 through October 2019. No services in the all-inclusive package will be interrupted, and construction will take place between 8 am and 6 pm Monday through Saturday.